At the beginning of the book I have a disclaimer that states that many of the events in the book Valley of the Queen are based on actual fact and experiences but the characters are only composites of people I have met along the way. Thus in a small way for a part of the book when I was writing, I was Jack Largent. I read somewhere good advice for authors that said you should write about what you know. I have to say based on my experience that is very good advice. I was in Vietnam as a photographer and had an assignment that took me all around Southeast Asia. Later I was an advertising photographer in Chicago at a time when advertising was going through the throes of changing media. I started writing not through some inspiration but because it was something I always wanted to do. I cannot imagine anyone would want to read my auto-biography, but I have been in a lot of interesting situations in my life and met a lot of interesting people. Armed with that, one day I sat down and started writing. At first, it was just my folly. In fact, when I finished the first full draft (and even published) it still remained my folly. I was very proud of it, but I confess I was surprised that people read my book and liked it. It wasn’t until then that I took it seriously. I pulled it from publication and went to work in earnest to make it as good as I could. I made numerous mistakes and it was not unusual for me to wake up in the middle of the night and start typing with a new idea. It became everything to me, the center of my day. Every time I thought I was done, I found more mistakes. I was never frustrated, only amused by repeated signs of my many faults, and determined to do better. I loved, really loved, editing my books. I bet I read each of them one hundred times and every time I found mistakes. Just when I thought it was perfect, I discovered my narrative was sprinkled with faulty grammar. I paid for a line-by-line edit and used a popular online grammar program. They both helped a lot. I almost always got A’s in school in English, but I had forgotten some of the rules about grammar like writing in the past-perfect tense. That turned out to be a big one. So I went through it again and again. It was a lot of hard work, but it was fun—great fun! I’m not kidding. I loved it. It was a time machine because time seemed to fly when I was working on my books. A lot of people (both men and women) have told me they en joyed reading my books. That is like getting paid. The books are different than most fiction. 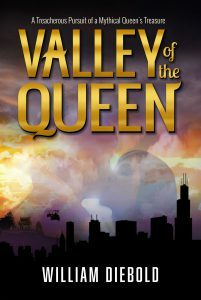 Valley of the Queen has a dual time frame that follows through the book and comes together in the end. That opens up the narrative to a very interesting plot line and you never know what to expect. These are normal everyday Chicago friends, who live and love day-to-day as we all do, and then they aren’t anymore. They are carried away on a ride of fantasy that takes them to the other side of the world. There are unusual romantic involvements and unexpected twists. At one point Jack Largent ends up confronting a culture that is thousands of years old. You are right there with him, feeling what he feels, confounded as he is. That’s the part I like about the book. We are just like them, so much so we can feel what they feel and experience it all with them. 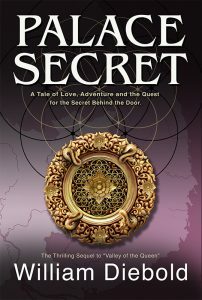 It is a real adventure I suspect everyone will enjoy. I know I did.